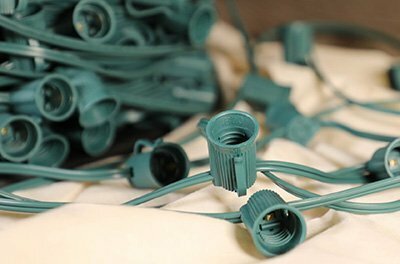 The latest generation Pro Grade LED Christmas lights offer vibrant colors, high grade components, and long life expectancy all while using up to 90% less power! LED retrofit replacement bulbs available in a variety of shapes and sizes including C7, C9 and G50. Top bulb choice of professional Christmas installers. C7, C9 and medium base empty socket light line available in bulk spools of 250', 500' and 1000' as well as by the foot. 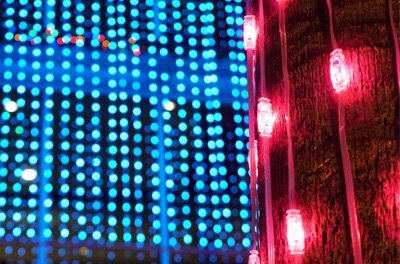 It's never been easier to achieve professional perimeter lighting results. The latest in Minleon RGB Christmas lights. Amazing advanced technology that offers animated vibrant colors. C7 and C9 traditional incandescent replacement bulbs. A great choice when budgets are tight. A great alternative to LED Christmas Lights. 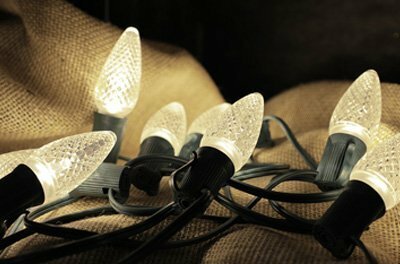 Our traditional Christmas lights combine the classic look of incandescent bulbs with high quality light sets that are designed for demanding holiday lighting projects.